I have amassed an armory of ADHD-approved methods, drawing on my own experiences as a student in school, four years as a classroom teacher, and the last thirteen years as an ADHD and academic coach. I now run what I call ADHD Study Groups. Kids come for a period of three to four hours—sometimes longer—and we work on school, take video game breaks, eat pizza, and have fun, which is the most important aspect. Participants learn the important lesson that succeeding in school does not necessarily involve drudgery, frustration, and boredom. Study Groups have provided me with the most amazing laboratory for experimentation. The wide variety of ADHD types I regularly encounter necessitates ongoing development of strategies. I still regularly run across new students who stump me, a situation which sends me back to the drawing board to develop fresh tactics. Innovation is a necessity in my work. My strong suit is creativity, but I also have a secret weapon: I am not a family member. As parents and loved ones contemplate new methods and strategies, it is important to keep in mind that the ADHDer in your life may not take your suggestions. 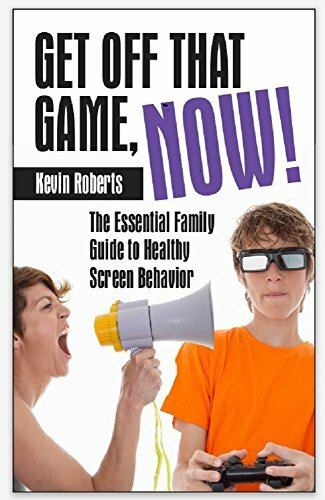 In fact, the strategies I recommend had often been suggested by parents or loved ones; the ADHD folks were just not willing to try them until they started working with me. I have come to believe that if I let ADHD folks be themselves, fun and excitement will surely follow. I like to say that Study Groups create an ADHD-affirmative environment. Not only do we have serious fun, but we take fun seriously. I have a comedy notebook in the main study room and whenever someone comes up with a good joke, sight gag, or impersonation, we write in the notebook. Humor is treated as a precious asset. It is honored and appreciated. Learn to do this with the ADHDer in your life, and your relationship with him or her will likely improve. You will find no better tool to interact with an ADHDer than having fun. The interaction will energize and build rapport in a way that you never imagined. Self-help guru,Wayne Dyer, said that “every problem has a spiritual solution.” With an ADHDer, almost every problem can be solved with fun. If you keep that in mind, you may revolutionize the relationship with the ADHDer in your life, and you may help him or her succeed in ways that were previously unimaginable. As you seek to come up with new strategies to help the ADHDer in your life succeed, remember that fun, humor, and excitement are catalysts that will make the process much more effective. Educator Says Fun is the Key. I wish I had had these groups when I was in high school. Yes, you’ve hit the nail on the head: we are into fun! Everyone is I suppose, but play is sort of a necessity for a lot of ADHD people, isn’t it? Tony, yes, for ADHD people, play is often a necessity. I like to think of it as “work before play.” Play can energize us and give us the internal resources to tackle the tasks at hand. Kevin, you teach me a lot about ADHD. Armed with your information, I feel I am starting to learn. Thank you. I appreciate you weighing in. If there are any ADHD-related topics you wish me to cover, just let me know. Kevin, I watched your piece on the news and it was most inspirational. If any of your readers want to view it, here is the link. Keep doing what you do, Kevin!! !